Do you ever find it challenging in determining how you will bring communication and power to your tooling fixtures on a rotary index table application? Do you find it difficult to determine the appropriate slip ring for your application? Did you know it is possible to provide high voltage 3 phase power and communication such as Ethernet, Device Net, Profinet, etc. all through one device? Rotary Index tables with more than two stations and or being used in a single direction need provisions in place to allow for access to air, electric power, communications or a combination of the three. 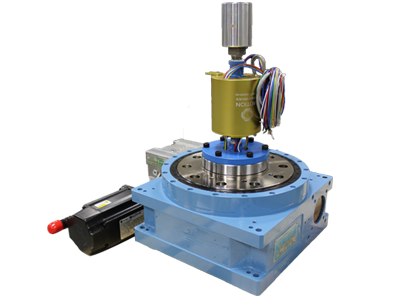 Motion Index Drives offers many standard or custom designed rotary slip ring packages with a variety of options for communication, power and air requirements for rotary index table applications. 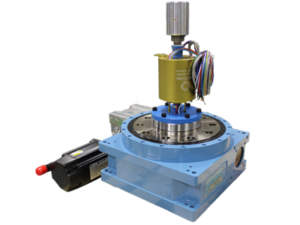 We can take standard flying lead slip rings and assemble any connectors you made need to plug into your power and communication ports without the need to hardwire at assembly. Find out what options may be best or more cost effective for your application and how to apply them. To learn more, please click here to view our full white paper.